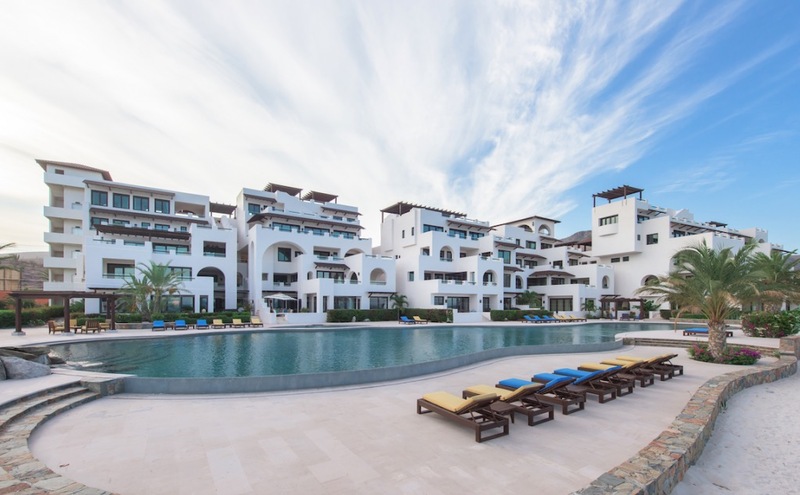 A short drive from the bustling downtown Cabo scene is the quieter, charming town of La Paz, where the new boutique residences of Playa de La Paz are located. Situated on El Caimancito, one of the town’s best beachfront locations, the 23-residence community is outfitted with spectacular surroundings and luxury amenities. Recently ranked second on CNN’s Best Places to Retire, La Paz has been visited by big names like Felipe Calderon, former president of Mexico; football star Luis Roberto Alves and his wife; television presenter Paola Rojas; and even Bill and Melinda Gates. With such big names making frequent visits, it’s no surprise that the new Playa de La Paz community is one of luxury. Amenities include an oceanfront pool, a fitness facility, an outdoor yoga studio, equipment for stand up paddleboarding, kayaking and snorkeling as well as a concierge that can coordinate everything from off-site excursions to on-site weddings. Self-sustainable landscaping using native plants and the prime location add to the original goal of Playa de La Plaz developers, Jeffrey Curtiss, Jeffrey Hecktman and John Hargreaves: to create a beachfront property encapsulating the essence of the beautiful town. With 600 feet of ocean frontage, the property’s one-, two-, three- and four-bedroom residences range in size from 2,900 to more than 9,000 square feet and are priced from $995,000 to more than $3 million. Interiors include upscale appliances and materials including hand cut Calcutta Gold marble, hand cut stone from Brazil, Russia and Italy; high quality exotic woods like Zebrano, maple, walnut and oak; custom cabinetry doors and windows; iron entry gates; and professional range stainless steel appliances. Residences also include state-of-the-art VANTAGE Home Control Systems so homeowners can custom adjust the environment to their liking, from sensor lights to music control. Outdoors, residences feature views of the ocean; private, direct access to the beach; outdoor living spaces and expansive terraces—some with up to 3,500 square feet of space. What makes Playa de La Paz really unique is that every floor plan is one-of-a-kind so no two residences are alike.